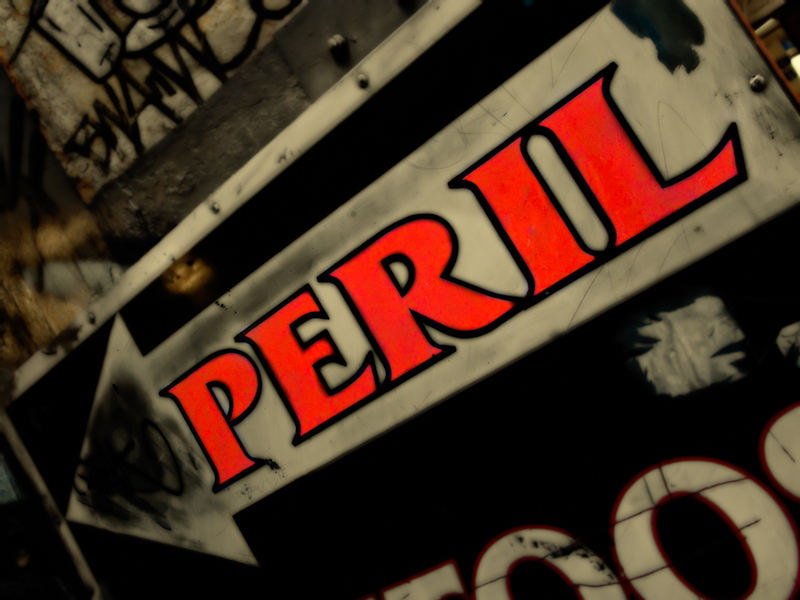 …and peril! I’m listening to the Hans Zimmer’s soundtrack to The Davinci Code, which to me seems appropriate for this photograph and today’s post. I usually don’t like to talk religion, because I know it can be divisive. So, I won’t talk religion, but will instead talk briefly about faith. Whether it is faith in yourself, in someone else, or what have you, it is sometimes hard to maintain that faith steadfastly. All of us, I believe, tend to slip, and sometimes we fall headlong into despair! I constantly struggle with faith and often lose my way, only to find myself at the edge of an abyss staring into the dark depths below. The rocks at the edges of this precipice are slippery, but I manage to grasp the edge before falling in. I repeatedly return to my path, but I sense that peril and madness are merely steps away. It is at those times that I have to have faith: in myself, in others and… well, you know. So, dear friends, keep the faith and stand clear of the abyss that leads to madness and peril!